Is Early Stage Emphysema Reversible? Emphysema is a chronic condition in which air sacs of the lung are gradually damaged. There is still no cure for this obstructive lung disease. But the prognosis of the disease is pretty good if it is caught early. On the other hand, it’s more difficult to treat when it has caused a significant damage to the lungs. A challenging question, is early stage emphysema reversible? It belongs to a group of lung diseases called chronic obstructive pulmonary disease (COPD). Even it is the main type of COPD. Obstructive means the disease usually causes difficulty in exhaling all the air from the lungs. Emphysema is commonly characterized by the progressive damage to air sac (alveolus, tiny air way at the end of each bronchiole). Alveoli are the plural form of alveolus. These air sacs are where gas exchange, between carbon dioxide that leaves the blood and oxygen that starts entering the blood, occurs. The alveoli of the lungs are clustered like bundles of grapes. Emphysema weakens the inner alveoli’s walls which then may eventually rupture, causing one larger air space in the lung instead of many small ones. As a result there will be less space for gas exchange – and the oxygen supply to the blood is affected. Most cases of emphysema are linked to cigarette smoking. Unfortunately, the exact way of how tobacco smoke leads to the disease is not fully known. But most experts agree that it is the top leading cause of the disease. Alpha-1-antitrypsin (AAT) deficiency. For non smokers with emphysema, this deficiency may be to blame. Alpha-1-antitrypsin is an important substance to help protect the lungs from damage. Lack of alpha-1-antitrypsin is usually a genetic condition. Long-term exposure to other airborne irritants such as air pollution and manufacturing fumes may also lead to inflammation and destruction in the airways of the lung. These airborne irritants can act in a similar way to tobacco smoke. Having another lung condition such as bronchial asthma (abnormal airway reactivity) may also increase the risk. In some cases, the disease runs in families. This is probably because the level of sensitivity or respond to airborne irritants may be inherited. In general, close relatives of individuals with this lung disease are at higher risk to develop the same condition. Unfortunately this genetic issue is not fully understood yet. Older age also has an effect. The risk of developing the disease increases with age. And gender. The disease is more often diagnosed in men than women. In general, emphysema usually develops and progresses slowly. Many times, the early stages of the disease will have few symptoms. Even in some cases, the patients may have the disease for many years without having any symptom. 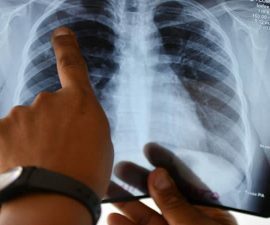 Depending on the severity of the disease, the damaged alveoli can significantly impair the lungs function and make it more difficult to breath. Shortness of breath is the most common symptom of the disease. 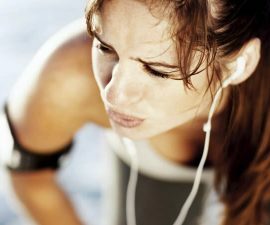 At first, feeling of breathlessness usually flares up on exertion such as during strenuous activity. But as the disease progresses to become advanced, it can strike anytime even while at rest. In the worst scenario, the disease may lead to ‘air hunger’, a condition in which you have a constant-feeling of being unable to get one’s breath. Coughing with phlegm (particularly true if chronic bronchitis is also present). Feeling of tightness in the chest. The enlargement of alveoli may also cause barrel-like distended chest. The damaged alveoli in emphysema will be permanent. And unluckily there is still no cure! The good news, the disease progresses slowly and some effective treatments are available to prevent it from worsening so thus it will not result in serious complications or death. At early stage of the disease, the damaged alveoli are still mild – however once the alveoli get damaged, again this can be permanent. Does this mean that the disease is irreversible, even though if caught early? Why Is Emphysema A Serious Health Problem? Are Emphysema and Bronchiectasis Reversible? Can Emphysema Cause Back Pain? 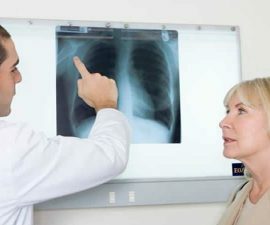 What Genetic Disorder Linked to Emphysema?